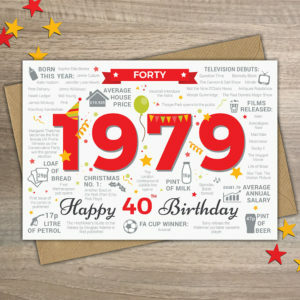 A milestone birthday card to celebrate seventieth birthdays in 2019. Bursting with fun, interesting and sometimes shocking facts and events from the year 1949. 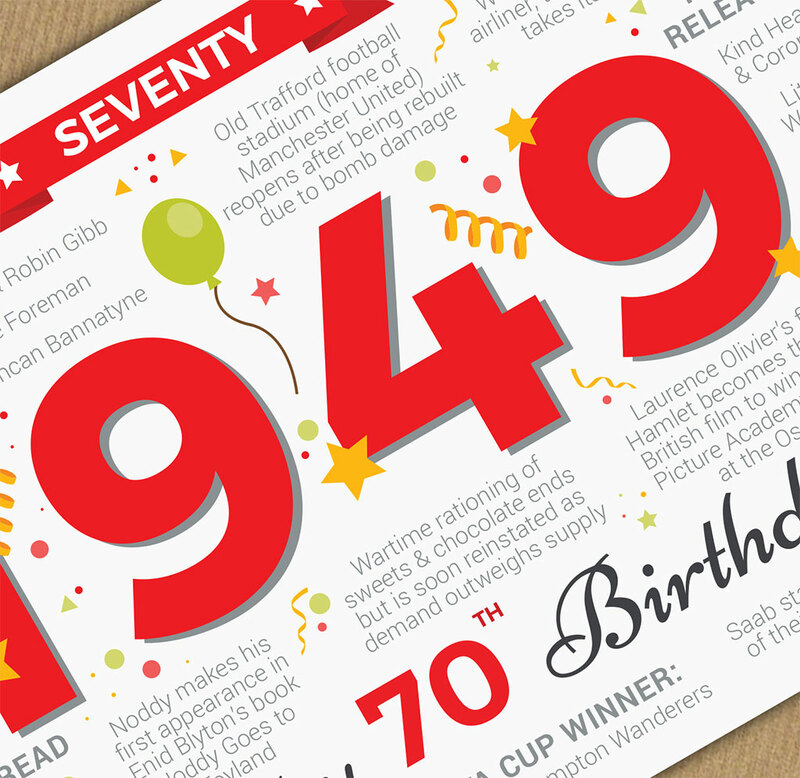 Take the recipient on a trip back seventy years and reminisce on what was happening in 1949. 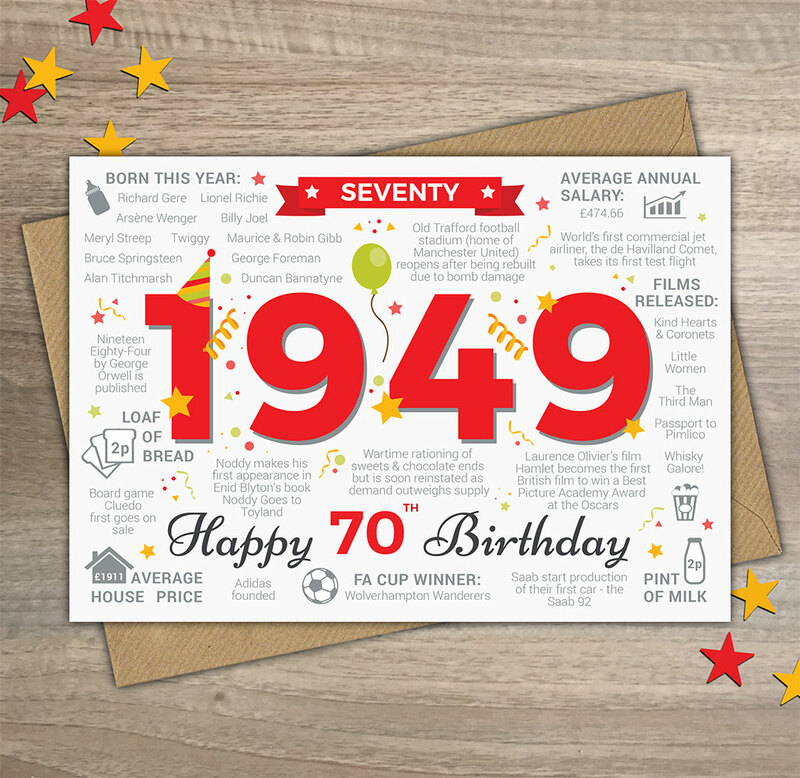 For example, did you know that in 1949… Adidas was founded, the average house price was £1911 (those were the days!) 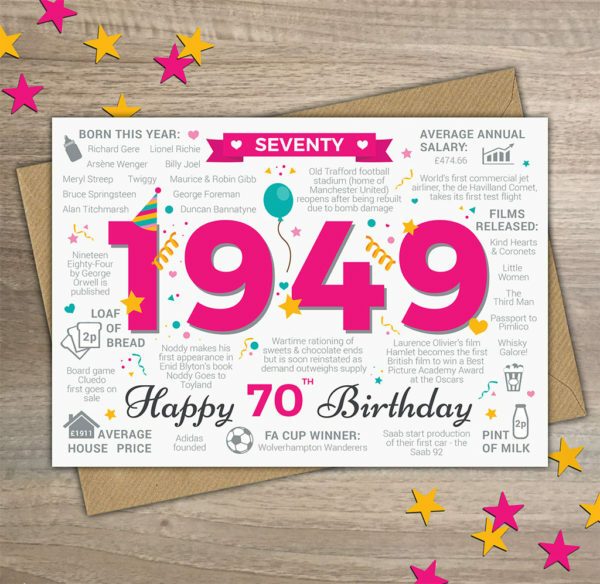 and Meryl Streep was born!